Thinking about moving your business to Meeker? Consider this 0.5 acre corner lot, which is located at the corner of 1st & Market Street. 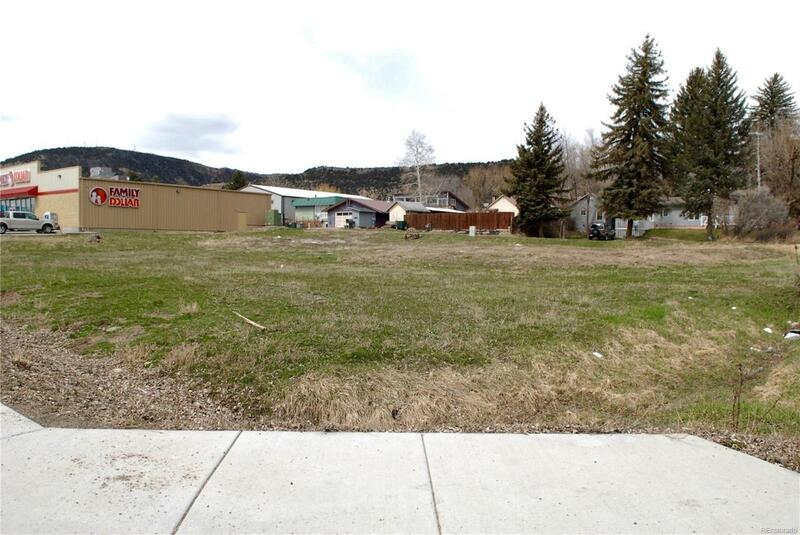 This expansive vacant lot is zoned Highway Commercial. A new sidewalk was built along Market Street (Highway 13). The water tap has been paid, ready for installation. This lot neighbors the ever bustling Family Dollar and is across the street from an established coffee shop and restaurant. A bakery will be opening on the adjoining block too. You will be pleased with Rio Blanco County's reasonable property taxes and ability to expand your business to the next level. Consider Meeker, we welcome your business!